I love any opportunity to travel for someone's wedding day! Even if it's just down the road in Fort Smith Arkansas. Kaitlynn and Alex's wedding took place at the magnificent Immaculate Conception Catholic Church in Fort Smith, AR. What a GRAND location for a wedding ceremony! 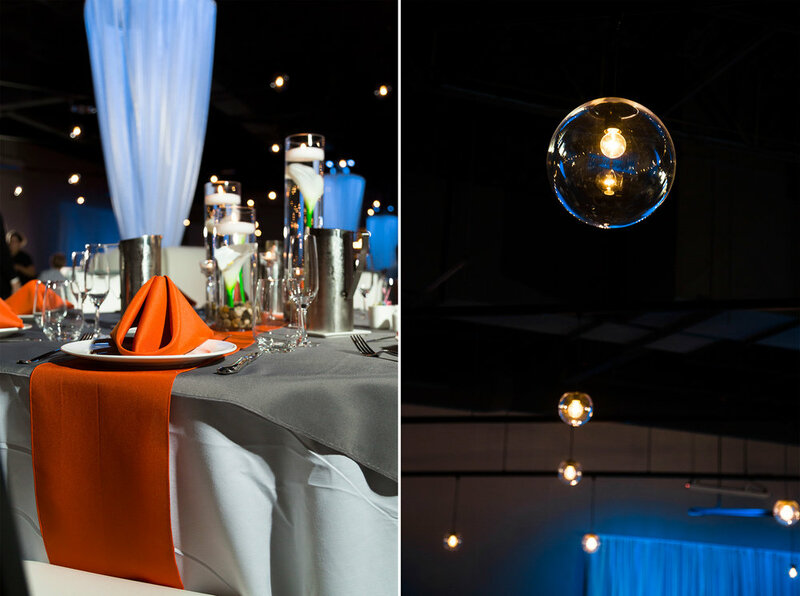 The couples colorful blue and orange reception was help at the EpiCenter by Movie Lounge also in Fort Smith. Kaitlynn and Alex's wedding party and family members made me feel so welcome. They were so kind and helpful on the wedding day! It was an amazing moment to capture a 1st Look between Kaitlynn and her grandfather, and then with her dad, and THEN with Alex! Many tears were shed, including my own. I LOVE those moments! It was a lot of fun to walk around downtown Fort Smith with the wedding party and find pretty locations for photos. Kaitlynn and Alex's wedding reception at the EpiCenter was perfection. The bride perfectly planned every detail and the orange, blue, and grey colors were so vibrant! Good job Kaitlynn!